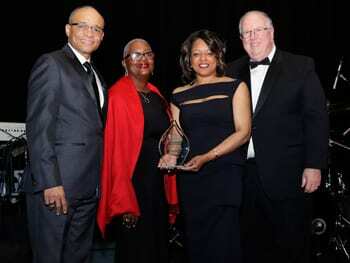 SAN FRANCISCO—Over 400 guests attended the UNCF San Francisco “A Mind Is…” Gala on February 18, culminating the end of a successful annual campaign. The signature fundraiser is one of several initiatives executed throughout the year aiming to provide a quality education for deserving minority students. 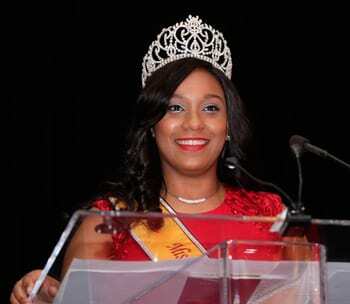 Amber Jazz Petrus, a UNCF/Wells Fargo scholarship recipient and Miss Bethune Cookman College shared her career aspirations and the benefits of attending a historically black college with attendees. Ifreke Okpokowuruk, a recent Morehouse graduate thanked UNCF for selecting him to attend UNCF’s annual HBCU Innovation Summit, where he met Google representatives and now works for the company as a computer engineer. “Our corporate partners understand the importance of investing in higher education as a means of improving both educational and economic outcomes for not only segments of our community, but our entire nation,” said Monica Sudduth, regional development director, UNCF. With the help of this year’s sponsors, including presenting sponsor Dignity Health and major sponsors including PG&E, Blue, World Travel, Union Bank, Oracle, Golden State Warriors, McDonald’s Ownership Group., Wells Fargo, NetApp and Alaska Airlines, UNCF San Francisco continues to pave the way for the next generation of leaders. NetApp was recognized as Corporation of the Year because of the value they placed on providing a quality education to all. The evening culminated with a performance by contemporary jazz musician Gerald Albright. In addition to the AMI gala, UNCF San Francisco worked tirelessly on the following initiatives to increase transitional support for students to get to and through college and garner support through regional and local partnerships. Working in conjunction with the Oakland Unified School District, the Empower Me Tour [www.empowermetour.org] provided high school students with the tools and resources that promote college readiness. During the Empower Me Tour stop in Oakland, more than $700,000 was awarded to area students. A total of 39 students were offered scholarships and 141 were admitted to UNCF-member HBCUs (historically black college and universities). "UNCF's Empower Me Tour is critical to building partnerships with school districts where challenges are great for students, parents and teachers," said Dr. Michael L. Lomax, UNCF president and CEO. "The Empower Me Tour transforms the lives of high school students who may enter the convention center unable to see past their challenges, but leave with acceptance to an HBCU and a four-year scholarship award." 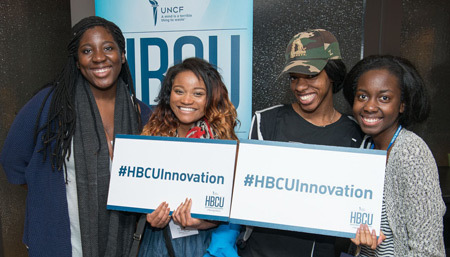 UNCF, in partnership with the White House Office of Science and Technology, hosted 53 students and 19 faculty members representing more than 30 historically black colleges and universities as they visited nearly a dozen Silicon Valley/Bay Area corporations during the fourth annual UNCF HBCU Innovation Summit. The summit's tech trek consisted of corporate tech office tours and interactive sessions on startups and entrepreneurship in tech. Students heard from some of their successful peers (including the founders of Black Valley, a self-led group of African American Silicon Valley interns) and had their resumes critiqued by tech recruiters, while the HBCU educators worked on developing curriculums that will foster more innovation across their campuses. The goal of the four-day summit is to empower African American students—most of whom are computer science, engineering and information technology majors—to chart their career paths in the tech industries. Through volunteering or donations, you can leave your own footprint in the life of a young scholar. Help UNCF San Francisco continue the tremendous work next year by contacting Monica Sudduth at 415.956.1018, Monica.Sudduth@uncf.org or visiting UNCF.org/sanfrancisco.